Outdoor equipment is bulky, dangerous or hazardous, and requires precautions while transporting. If you are in the process of relocating, you’ll want to make sure you take the proper steps to ensure all your bulky outdoor equipment gets to its desination in one piece. For advice from expert movers, we turned to the folks at Cheap Movers Houston, an affordable moving service helping people relocate for less in Houston, Katy, and Cypress. Secure the barbecue grill in a way that the grill will not shift, slide, roll, or tip over. Never transport combustible substances inside of your vehicle. 1) Be sure the grill is cold to the touch. 2) Remove the propane tank or charcoal briquettes from the grill (do not transport the tank or used briquettes). 4) Remove loose parts and utensils from the grill. 5) Wrap items with sharp edges or points, and store them in a safe place. 6) Wrap the grill with a protective moving blanket (do not cover wheels or handles). 7) Roll or lift the grill onto the vehicle. 8) Secure the grill against a solid surface with no doors or windows. Secure fishing equipment in a way that the poles won’t break, the hooks won’t impale anyone, and the lures won’t fly through the air. 1) Remove all hooks and lures from the fishing line, and secure the fishing line to the rod or reel. 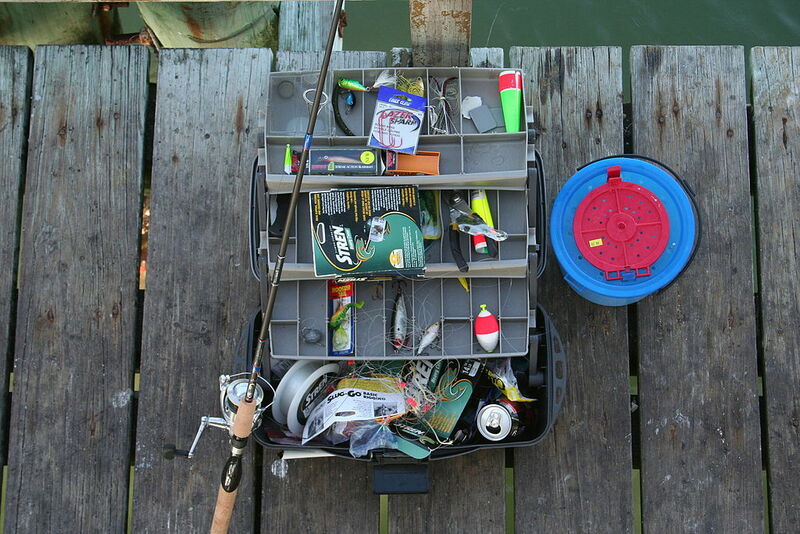 2) Store the hooks and lures in a bag or box specifically designed to store and transport fishing equipment. 3) Stow fishing rods inside of a fishing case designed to store and transport fishing rods. 4) If a fishing case is not available, stow the fishing rods within a rod rack that mounts to the inside of the roof or inside of a pickup truck bed. Secure the kayak to the vehicle in a way that the kayak will not shift, slide, or come loose. A kayak is aerodynamic by design and wants to fly if provided enough wind and speed. 1) Allow plenty of time to secure the kayak to the vehicle before transporting. 2) Thoroughly inspect all items used for transporting the kayak. Replace any items that are damaged or do not function properly. 3) Secure the appropriate size cockpit cover designed for the type of kayak you are transporting. 4) Secure the kayak to the top of the vehicle with a carrier or roof rack. Be sure to utilize all ropes and straps that came with the carrier or roof rack. 5) Attach lines from the bow and stern of the kayak to the vehicle. Follow the instruction provided with the lines while attaching to the vehicle. 6) Attach a red (or bright-colored) flag to the end of the kayak extending past the rear of the car. 7) Pack paddles and lifesaving equipment inside of the vehicle. 8) Pack extra lines and straps inside of the vehicle. 9) Stop while traveling and check the lines, straps, and carrier. 10) Drive at a safe speed, constantly aware of the kayak above you. 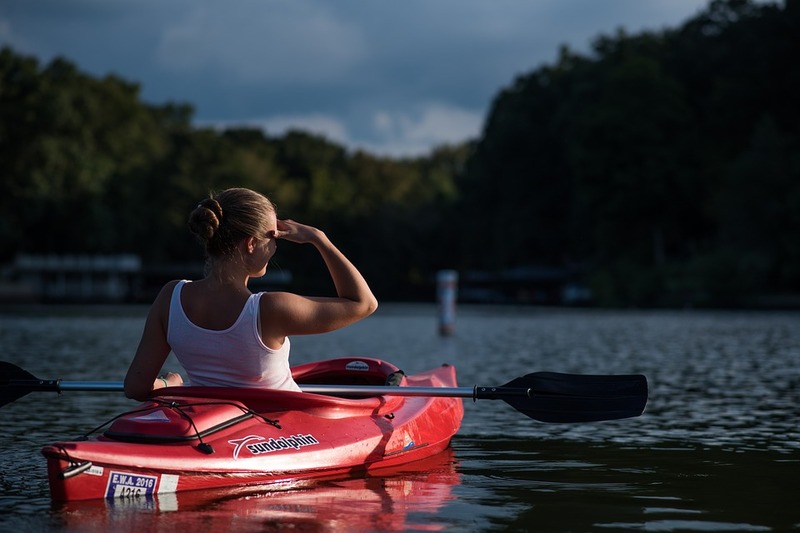 With many things to do in various parts of Texas, an all-time favorite is camping, kayaking, and tubing. 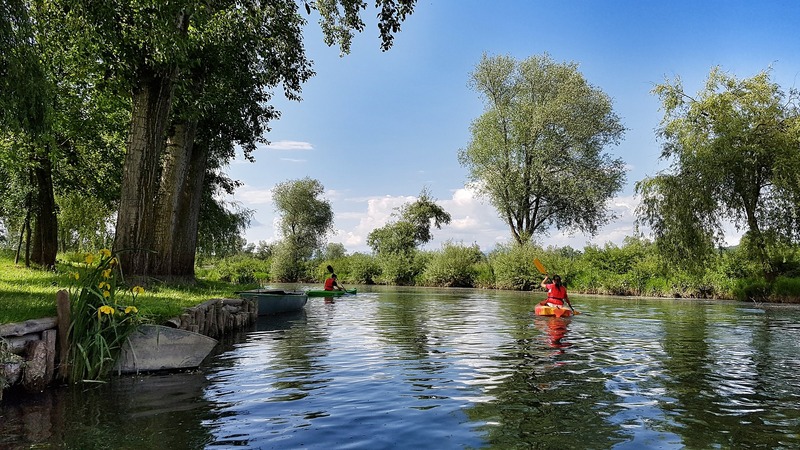 For visitors and tourists, it may be difficult to locate the best places to partake in these breathtaking activities, which is why we created this list. These are, according to locals in Texas, the absolute best spots to go camping, kayaking, and do other fun outdoor activities while you’re on vacation. A six-hour kayaking tour of Galveston Bay took up the third spot on USA Today‘s list. It’s detailed, affordable, and open at the most convenient times. You also get to explore a privately-funded nature preserve. This trip is a memorable experience that won’t take up your entire weekend and will leave you speechless at the beauty of nature. You will learn tons of information on the bodies of water connected and run all throughout the entire heart of Texas. 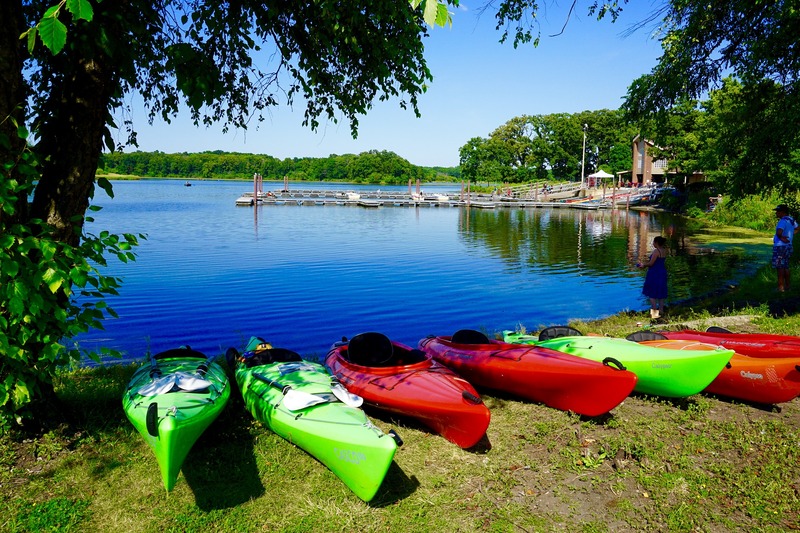 TWP Magazine says that this state park offers over 100 campsites that allow you to choose between a primitive site or a campsite with all the hookups and gadgets. All of this comes at a very lenient price. With the background this state park has, you can relax and take in the view and the vibe, or you can go fishing, swimming, and even hiking. The Medina River is a special place to go kayaking and unwind at the same time. Away from social gatherings and in the heart of nature, Sacurrent.com claims that this route is undeniably private since it doesn’t attract large crowds of people. This state park has lots of campsites for an RV, but you can still enjoy the colorful environment and lakes, such as the ones mentioned on the Beyond The Tent website, the Sabinal River being one of them. It’s great for hiking, too and is much smaller in comparison to other campground sites. Conveniently assembled with a picnic table, a fire pit, and restrooms close by, the Oxford Ranch Campground use is best for campers who prefer the tent life. Often not crowded, you can have as much privacy as you need since there aren’t very many people. This campground also has extremely affordable prices, as well. It is 130 acres of pure beauty for you to take in on your trip. You can read more about it here. Located in the center of Austin, this trail allows you to hike, bike, run, and whitewater kayaking. You can bring your dogs(s) if you have any, but according to AllTrails.com, you must keep them on a leash. This trail ranges roughly 4.4 miles and sticks closely nearby the lake the entire time. I saved the best for last. The 18th longest river in the US, the Colorado River is ideal for those kayaking for their first time, as there are no rogue waves, tides, or overly huge waterfalls. Mentioned in Apple Moving’s blog post on 11 Ways to Cool Off in Texas, kayak camping on the Colorado River is a unique experience you won’t forget. 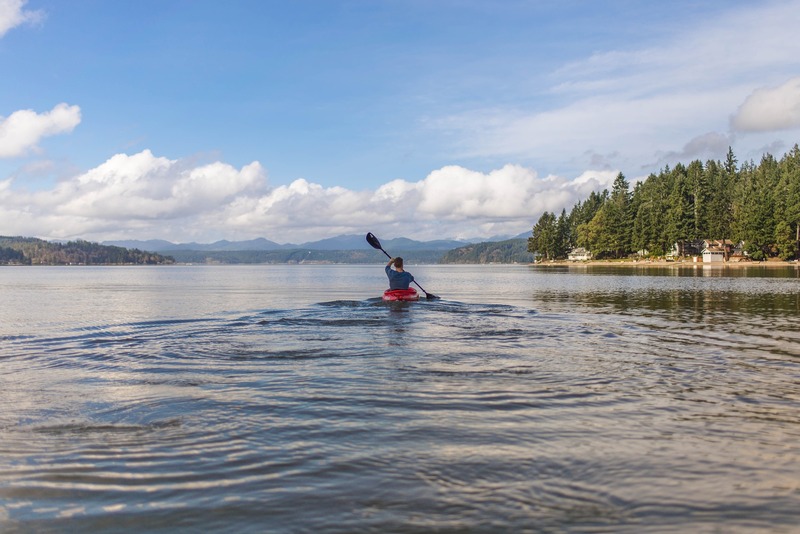 Be sure to also check out this moving company’s tips for moving with your kayak. Bring your kayak and camp on an island in the middle of the river, or go with a group from the Bastrop River Company. Kayaking the Colorado is a must-do for any Texan! Which ones will you add to your list while you’re on vacation? These are just a handful of the many incredible places to visit for outdoor activities in Texas. There are plenty more for those who want to return and explore even more.